What makes an entrepreneur different than an hourly or salary employee is their willingness to face challenges. It is extremely difficult for a single person to create and grow a company since they need to oversee every aspect of their business's operations. Nearly all entrepreneurs have an Achilles' heel. If the entrepreneur comes from a maker background (meaning they are career individual contributors like engineers, writers, designers, etc.) then they may have challenges dealing with people such as employees, customers, investors, etc. On the other hand, if they're a "people person" with a background in management, then technical decisions might be their weak point. The good entrepreneurs are the ones who recognize their shortcomings and work to improve themselves. But, regardless of an entrepreneur's background, it seems that marketing is always a challenge when venturing into new areas. No matter how good the idea, if you can't market it, it probably won't be successful. The HomePod fits very nicely into my lifestyle. It certainly sounds great for its size and it fills up a room with music you can feel – something we lost when we started using tiny earbuds. Unfortunately, the biggest shortcoming of HomePod isn't its sound or Siri (Siri on HomePod is so much better than on the iPhone.) The HomePod's biggest shortcoming is Apple Music. Apple Music doesn't measure up when playing tunes of a specific genre or artist. Instead, I use Pandora to play music on my HomePod via Airplay. I've been a subscriber of Pandora for years, specifically due to Apple Music's limitations and it's served me well. Since the beginning of Apple Music's streaming service, it's had a problem playing relevant tracks. Very frequently, Apple Music will start off playing relevant music and then, perhaps ten songs later, it gets off track. My most recent experience is when I asked HomePod to play music by Cole Porter from Apple Music. About 30 minutes later, Apple Music started playing Country Music covers of Cole Porter songs which is an entirely different genre. I've experienced the same thing with Apple Music songs from Philip Glass and Billy Joel. If I ask Apple Music to play songs by Billy Joel, it should not play classical music from his most recent album. That's not what anyone means when they ask to hear Billy Joel. That got me wondering about the difference between how Apple Music and Pandora choose tunes. Perhaps I'll do a little digging. 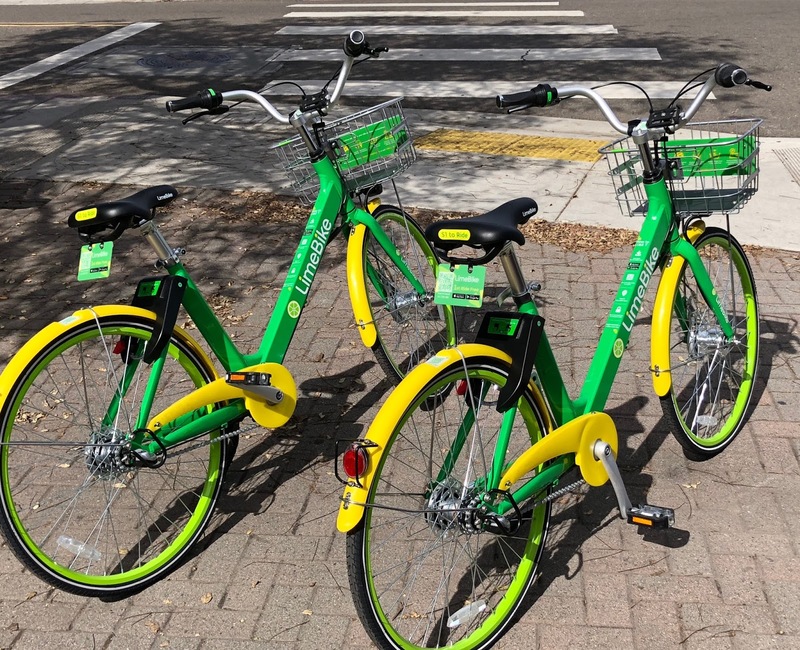 Yesterday, LimeBike.com launched their new dockless bike sharing program in San Diego. 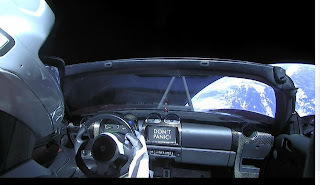 Today, I took it for a spin. I couldn't resist when I saw the bikes spread throughout my neighborhood. My first ride was free. 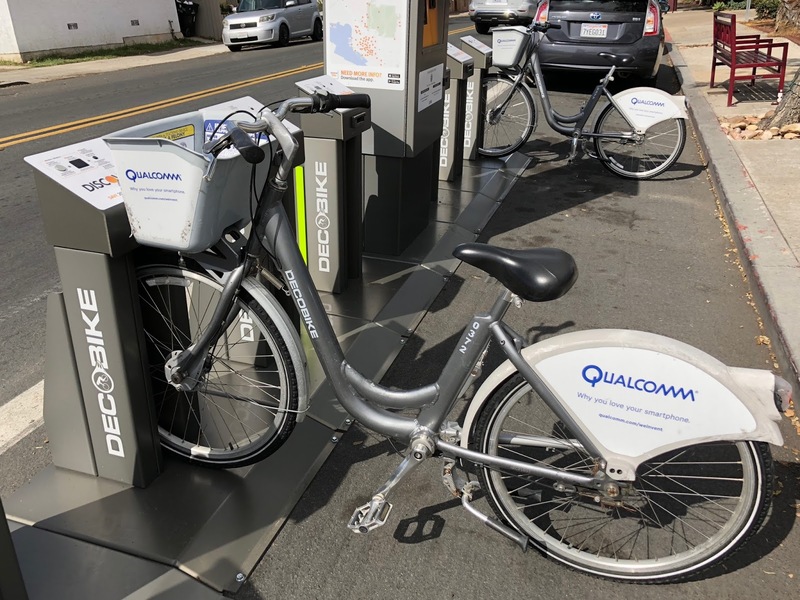 I haven't yet taken a second ride, but it seems that the bike rentals are $1 for 30 minutes for a regular bike and, for electric-assist bikes, it's $1 for 10 minutes plus a $1 unlock fee. This is much better than the local competitor DecoBike, which requires docking and cost $5 for 30 minutes. 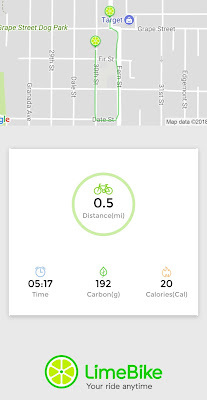 To get rolling, I downloaded the LimeBike app (available for iOS and Android), opened it, and simply pointed my phone's camera at the QR code on the back fender of the bicycle. Within a few seconds, the bike played a tone as it unlocked the rear wheel and I was ready to go. Like a DecoBike, the bike has multiple speeds, a headlight, and basket. When I was done, the rear wheel locked and I was prompted to enter my credit card info for future rides. 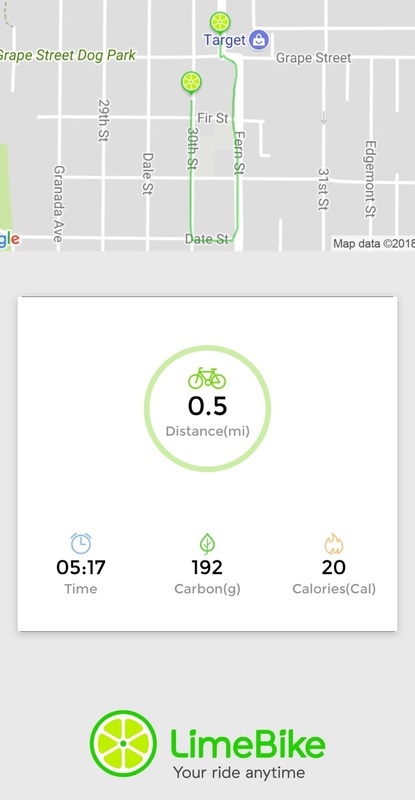 The app gave me an option to save a map of the route that I rode, along with time, distance, calories burned, and grams of carbon emissions I saved. 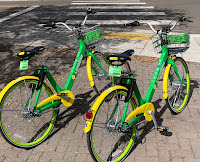 I will definitely be using LimeBike, again. 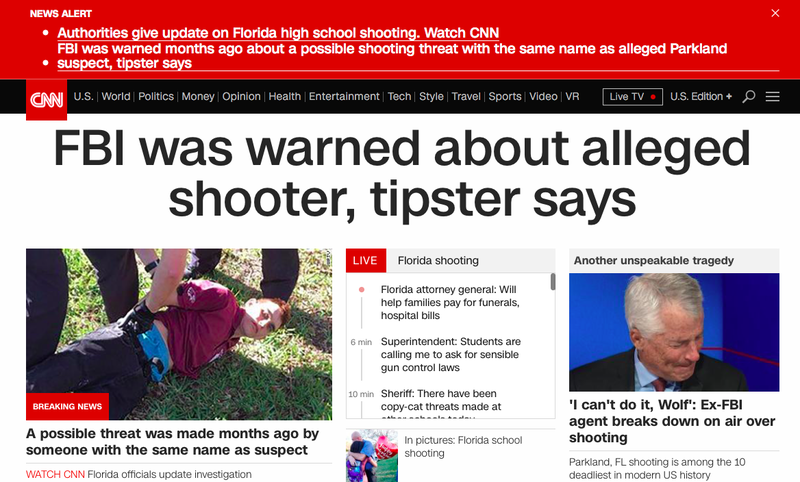 Many of us continually watch terrible news like incidents of terrorist attacks or mass shootings. What we really should do, instead, is stop watching cable TV news and, perhaps, watch This is Your Brain on Terrorism. On the surface, watching cable TV news (left or right) makes sense because we want to be informed and safe. But, this type of news ends up having the opposite effect, especially if we're not involved in the incident. We know that TV news is important, but we forget that, by definition, news is something that almost never happens. Because shocking news brings an audience, it ends up being broadcast nonstop which tricks us into thinking that it's a common problem. Just to be clear, no one wants mass shootings – even the NRA doesn't want mass shootings. But, the reaction of people who immerse themselves in this news, and feel helpless at the senseless violence, end up doing nothing effective to make things better. Their typical reaction is anger, talk, and posts to social media where they express their fury without doing anything to fix the problem or its side-effects that spread the fear. My point of this post is to show you that continually watching cable TV news coverage does very little to help the situation and actually causes more unnecessary anxiety. If you're scared and you continue to watch scary news then your fear will increase. Ask yourself what would happen if you didn't watch cable TV news. Instead of watching, read a couple news articles, ideally from different sources, and then go about your day while being thankful for how fortunate you are. Feeling helpless? Then find a cause where you can make a difference. Want to right a wrong in the world? Do a YouTube search for "puppy torture" or "puppy abuse," etc., and then foster a pet or do volunteer work. Want to join a big team to right the wrongs on a global scale? Then run for office, enlist in the military or join an NGO. Make the world a better place. At what point does emotional protesting become useless complaining? It seems that the people who complain the most tend to do the least. Stop complaining and start doing. After using HomePod for four days, I'm still happy. This morning, I played music on my Mac, with iTunes, while streaming it to my HomePod. This added an unexpectedly intense depth to my experience as the music was in perfect sync from both sources. It's a cheap version of surround sound. I've been considering the thought that went into what HomePod currently does. I know there are more features to come, but the current level of integration with iCloud, iTunes, etc is impressive. For example, when playing music on my Mac while streaming it to HomePod, if I ask HomePod to stop playing the music, it also stops playing on my Mac, which is exactly what I expected. If I ask HomePod a question, the music continues playing on my Mac while the music on HomePod fades out as Siri answers my question and then resumes playing. Plus, I like that I can use HomePod to control other apps (see video). Very nice. My new HomePod arrived today. The sound is great, especially the bass. I was at a meeting, about half an hour away from home, when I received the shipment delivery notification. Apparently, I was so excited my HomePod arrived that, for the first time, my Apple Watch's "Elevated Heart Rate Notification" went off. The box contained one item, HomePod with a permanently attached power cord plus a little paperwork and, of course, an Apple sticker. Setup was as simple as holding my iPhone within 2" of HomePod while it took a minute or two minute to transfer my configuration data and link it to my iTunes account. Picking the first song to play on my HomePod was no simple task, commensurate with picking a first dance song at a wedding. I chose "Fix Bayonets" which is a bugle call (similar to "Charge") to command troops to unsheathe their bayonets and attach them to their rifles in preparation for close combat. 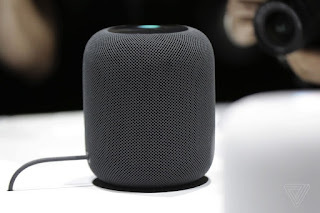 HomePod is an Apple product, and Apple invented AirPlay for audio and video transfer, so, it's very convenient to use iTunes on a Mac, iPhone, or iPad to control the HomePod. Siri on HomePod sounds more elegant and seems to be much better at understanding my commands compared to Siri on iPhone, but it's only been two hours. The most direct way for a pilot to communicate with air traffic control (ATC) is by speaking to them over the radio. Sometimes, though, it's hard to get a word in, "edgewise," when ATC is busy speaking to many different aircraft in rapid succession. This can be an issue when a pilot is trying to establish initial contact. It's not uncommon, under busy circumstances, to hear ATC tell a pilot, who is trying to establish initial contact, to call back later, perhaps in two or ten minutes. That's happened to me, a couple times, as I orbited the Del Mar Racetrack waiting for permission to enter the busy "bravo" airspace surrounding Miramar Airport and San Diego's Lindbergh Field. Occasionally, there are times when I've established communications with ATC, but, due to their workload, I'm not receiving timely updates. The delays aren't a safety issue, but I often wonder if the controller has overlooked me or if I'm simply a lower priority. The corporate pilot for QUALCOMM gave me a simple trick for getting the controller's attention. She told me to simply "ident" which causes my plane to flash on the controller's radar screen. Ident is short for "squawk identification." It's a signal sent from a plane's transponder to help a controller identify an aircraft's secondary radar (transponder) return. By asking a pilot to "squawk ident," the controller can ensure that the aircraft they're talking to matches the radar target they're looking at. Airplane transponders send out codes that the pilot sets. The transponder code 1200 is the most common code when a pilot is flying VFR. If a pilot is flying under an instrument flight rules plan (IFR) then the controller will assign a specific code to an aircraft to track the callsign and aircraft type. Simply hitting the ident button is a helpful way to get ATC's attention. I like simple tricks like this because they're effective yet not as brittle as an unbaked computer hack.